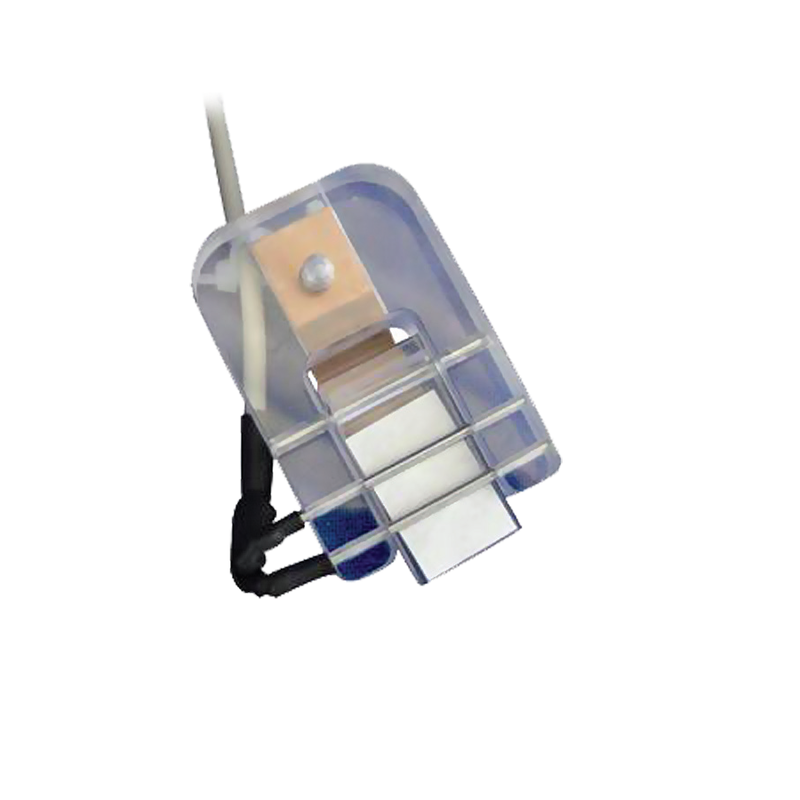 The leaf wetness sensor works by measuring the conductivity in a filter paper. The filter paper is held between two stainless steel electrodes in a transparent holder. The use of transparent Lucite plastic as a holder reduces the warming up of the sensor when it is exposed to direct sunlight.